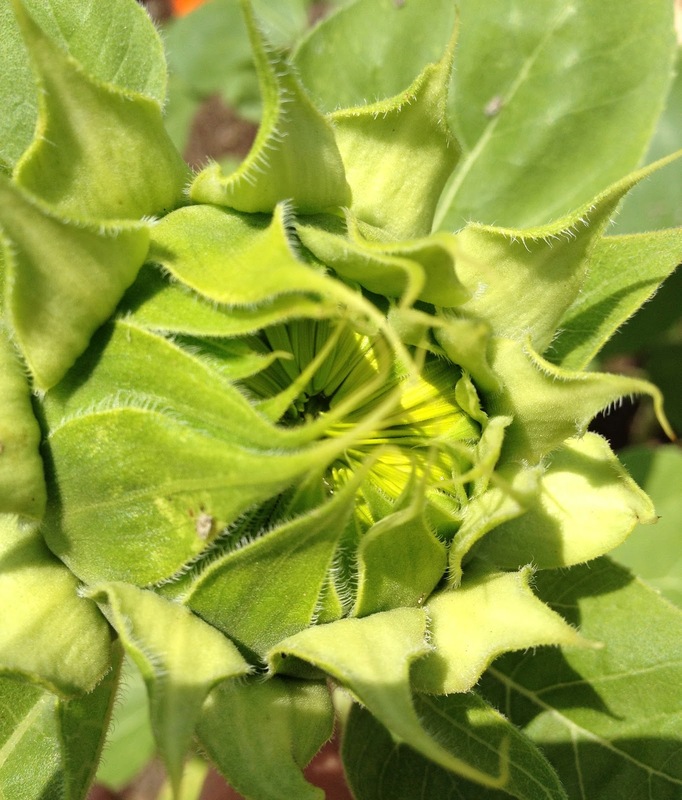 Sunflowers always turn toward the sun, even when they are not yet fully bloomed. I know this because I have about 20 stems reaching toward the bright rays in my backyard garden. I noticed this yesterday as I threw the ball for Hank (again and again and again). I started thinking about the times when I am ever so intentional about keeping my eyes fixed on Him. And the times when His Face seems to be one of the last places I look. Instead of crafting an *engaging* Soli Deo Gloria post, I'm going to spend time allowing Him to craft me. I've put too much emphasis on the things that are about God and not enough emphasis cultivating my relationship with God. Please, have fun enjoying each other, enjoying your small groups, enjoying His Word washing over you. You are loved and cherished and amazing -- beyond measure. This is my first time joining you & I'm delighted to meet you! Have a blessed week & I look forward to getting to know you! Love you Jen, and your lovely heart. Excellent advice for me to follow, too, Jen. Spend more time WITH him instead of just talking about him. Work worker bee, work. I believe in you. You are a lovely gift from God! Jen love this post. I have missed being around.. sorry i went absent.. I was finishing up grad school.. starting a ministry officially ect.. crazy times. I love that you are writing a book proposal.. i will be praying for you. Are you coming to She Speaks this year? I would love to meet you! And I would love to join a small group. Just e-mail me at comingaliveministries@gmail.com and let me know what I need to do. Jen, what makes SDG so special is it's authenticity- and you, my friend, are beautifully REAL. Thanks for this line today- "Instead of crafting an engaging post, I'm going to allow Him to craft me. That's just what I needed to hear. Just what I need for Him to do in my life, too. Blessings, dear friend! And keep on writing that amazing proposal- I'm praying that God is already preparing a publisher just for you! May the book you propose be the book He proposes...then you can't go wrong! The beautiful sunflowers turn to the Son so that may bloom. It is my prayer that you too will Bloom Where You Are Planted, Jen. Even though you don't think you crafted much of a post, you touched my heart. I love the analogy! Praying for you in your journey -- thank you for sharing it with us and inspiring us! May we all seek the Son!
" I've put too much emphasis on the things that are about God and not enough emphasis cultivating my relationship with God." Yep, I get that all too well. May the Lord richly bless your dedicated time with Him. I am praying for you, Jennifer, my sister! Keeping you close in heart and prayer. I applaud you, Jen, for taking the time to let Him craft you! Praying for you as you write your book proposal (I'm working on one, too, for She Speaks - scary stuff, I tell you!). will you let them be swept away? Break the Tapes: Is God Enough?